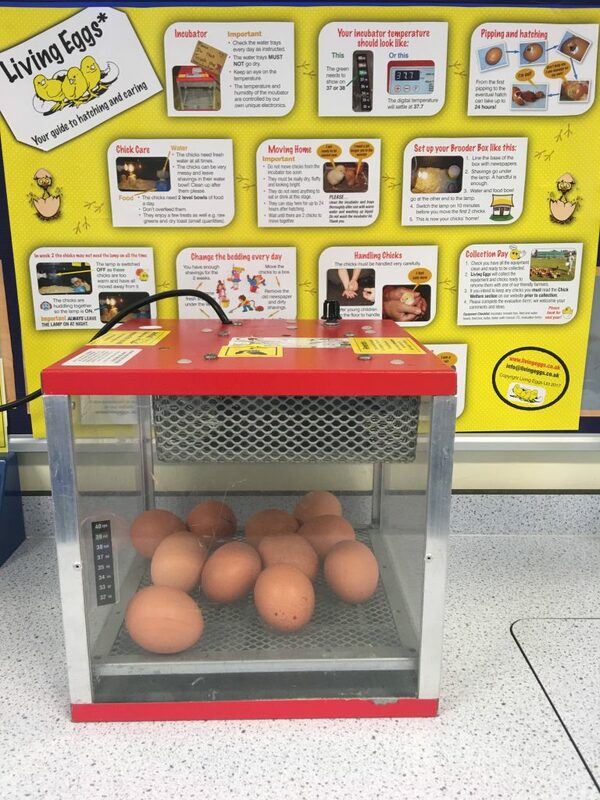 The whole school will be studying the life-cycle of birds during science and the children are very ‘egg-cited’ (sorry couldn’t help it!) by our new arrivals; 11 chicken eggs which could hatch at any time. We will keep you updated on their progress and may even have some news for you very, very soon.